Seniors Robbie Harrell and Stu Lombardo are making business out of a Minnesota staple—ice. 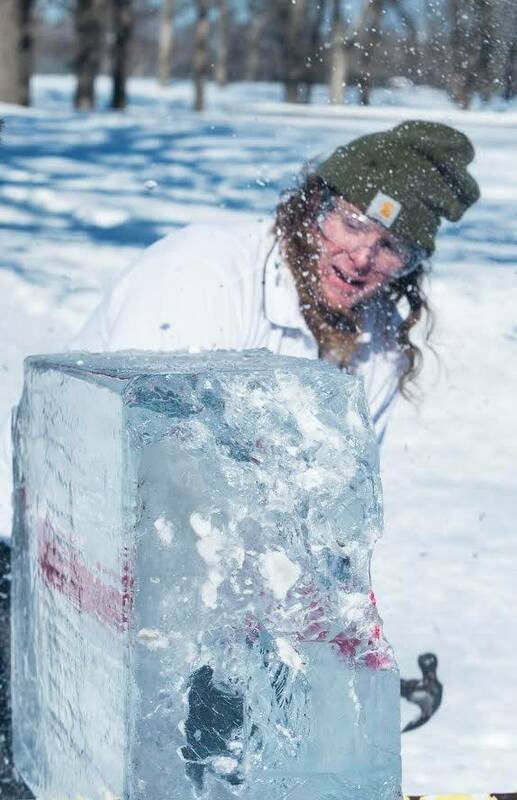 Their business, Minnesota Ice Sculptures, was launched in July, and the duo have started carving on their new machine. Harrell, an entrepreneurship major, and Lombardo, a mechanical engineering major, said they saw a business opportunity and teamed up. Lombardo designed their carving tool, and Harrell drew up the business plans. We would start our day out smashing ice sculptures, we had no clue what this would become. We were just taking a hammer, smashing ice sculptures. We were just kids, we are no clue what this would become.